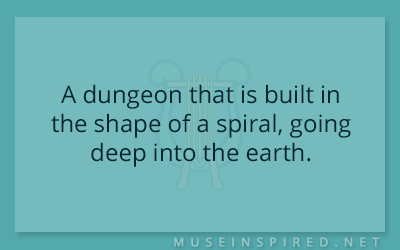 The world your characters live in is incredibly important, whether it be bound to the confines of a single room or expands outwards over an entire world. A unique setting brings life to your story and makes it all the more memorable. 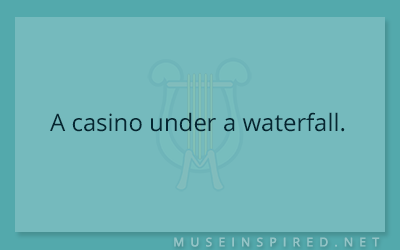 Our prompts are here to help invigorate your imagination with setting exercises and simple questions to flesh out your universes. 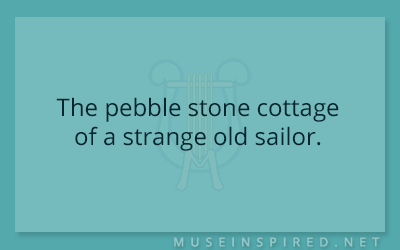 Siring Settings – The pebble stone cottage of a strange old sailor. 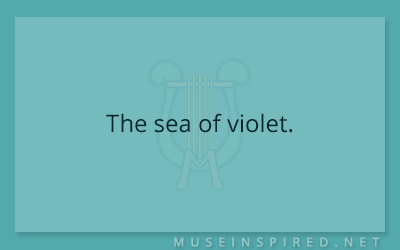 Siring Settings – The sea of violet. 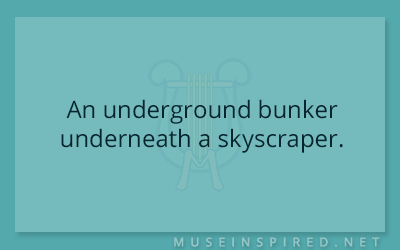 Siring Settings – An underground bunker underneath a skyscraper. 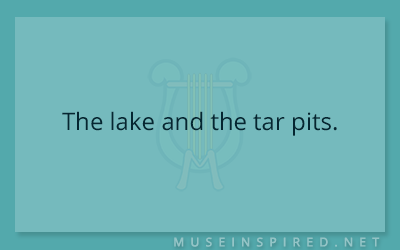 Siring Settings – The lake and the tar pits. 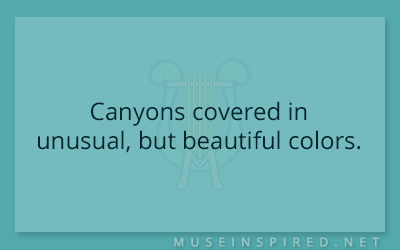 Siring Settings – Canyons covered in unusual, but beautiful colors. 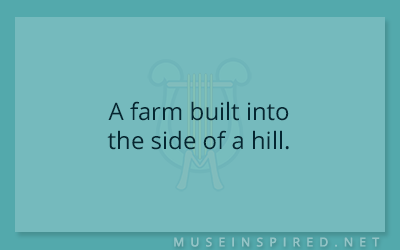 Siring Settings – A farm built into the side of a hill. 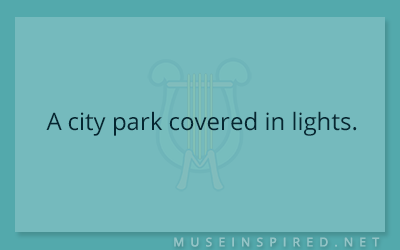 Siring Settings – A city park covered in lights. 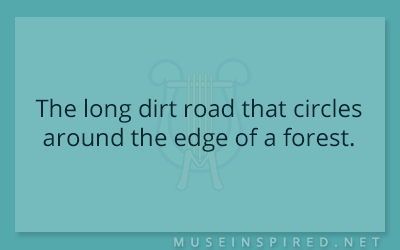 Siring Settings – The long dirt road that circles around the edge of a forest. 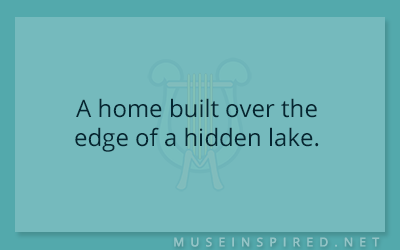 Siring Settings – A home built over the edge of a hidden lake. 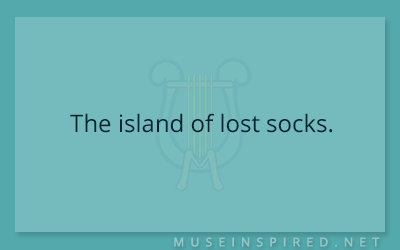 Siring Settings – The island of lost socks. 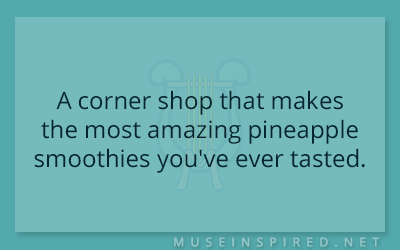 Siring Settings – A corner shop that makes the most amazing pineapple smoothies you’ve ever tasted. 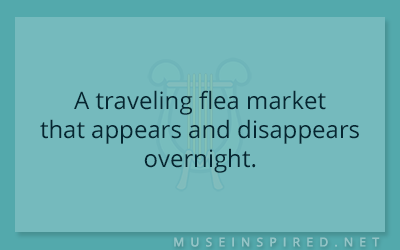 Siring Settings – A traveling flea market that appears and disappears overnight. 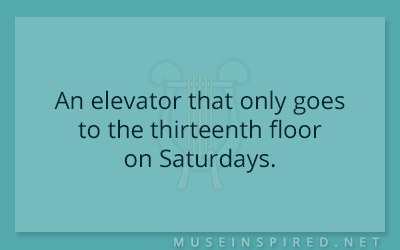 Siring Settings – An elevator that only goes to the thirteenth floor on Saturdays. 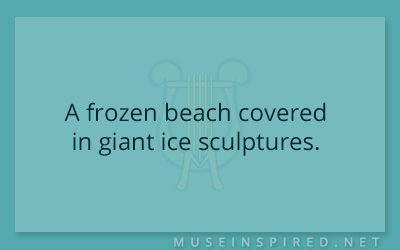 Siring Settings – A frozen beach covered in giant ice sculptures. 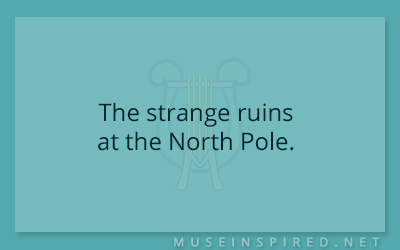 Siring Settings – The strange ruins at the North Pole. 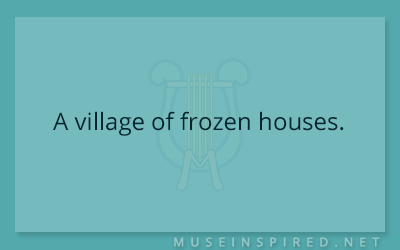 Siring Settings – A village of frozen houses. 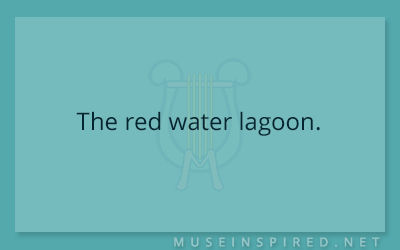 Siring Settings – The red water lagoon. 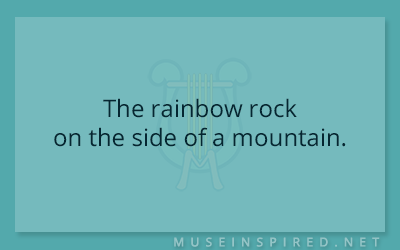 Siring Settings – The rainbow rock on the side of a mountain. 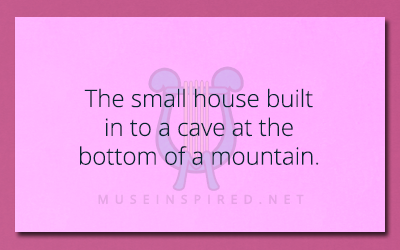 Siring Settings – The small house built in to a cave at the bottom of a mountain. 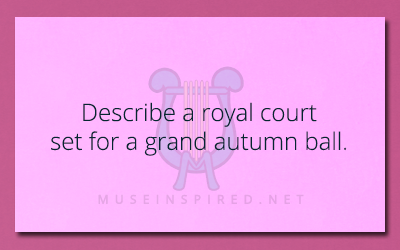 Siring Settings – Describe a royal court set for a grand autumn ball. Siring Settings – A field ready to be harvested. 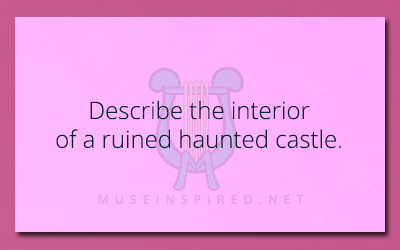 Siring Settings – Describe the interior of a ruined haunted castle. 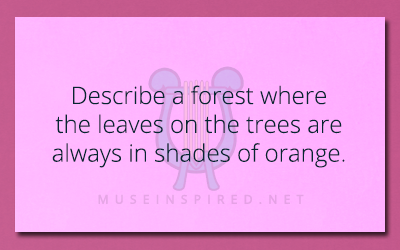 Siring Settings – Describe a forest where the leaves on the trees are always in shades of orange. 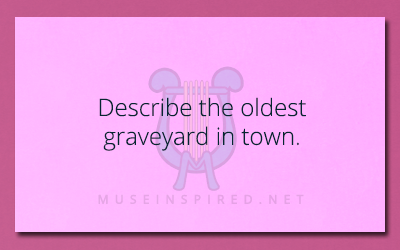 Siring Settings – Describe the oldest graveyard in town. Siring Settings – Describe a carnival’s most frightening attraction. 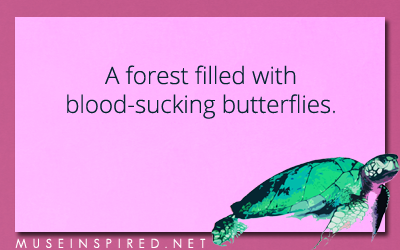 Siring Settings – A forest with bloodsucking butterflies. 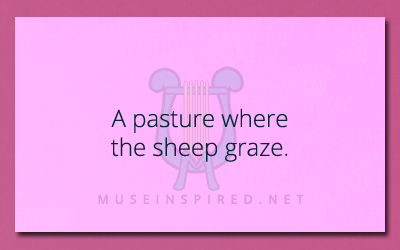 Siring Settings – The humble bedroom of a sheep farmer. 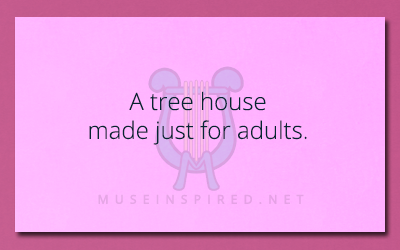 Siring Settings – A tree house made just for adults. 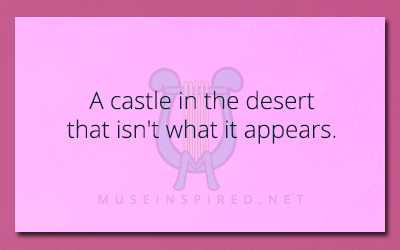 Siring Settings – A castle in the desert that isn’t what it appears. 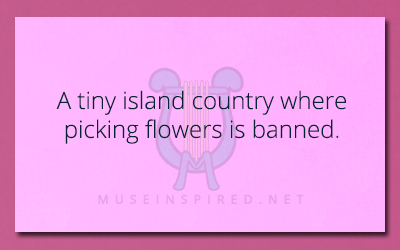 Siring Settings – A tiny island country where picking flowers is banned. Siring Settings – The abandoned chemist’s lab. 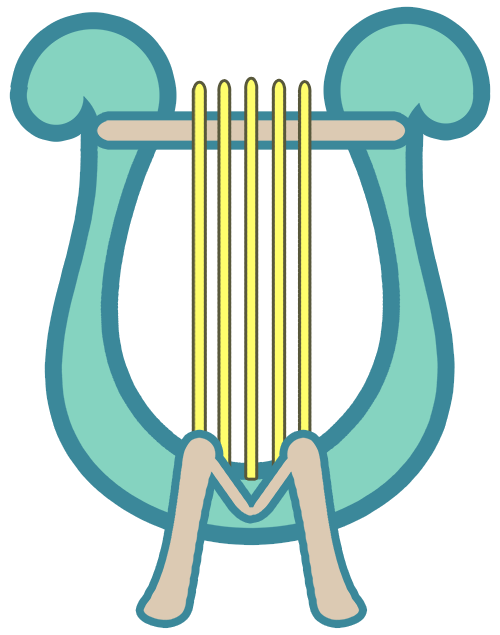 Siring Settings – The bathroom with the most unusual toilet anyone has ever seen. 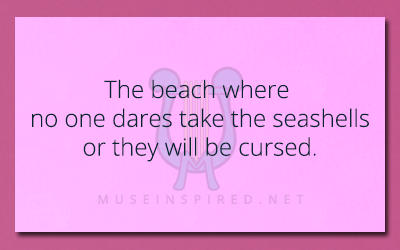 Siring Settings – The beach where no one dares take the seashells or they will be cursed. 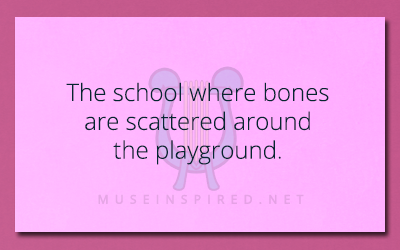 Siring Settings – The school where bones are scattered around the playground. 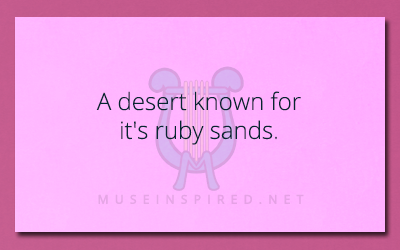 Siring Settings – A desert known for it’s ruby sands. 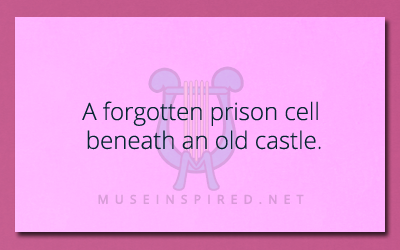 Siring Settings – A forgotten prison cell beneath an old castle. 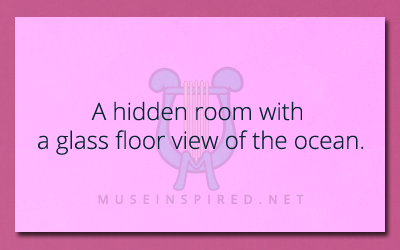 Siring Settings – A hidden room with a glass floor view of the ocean. 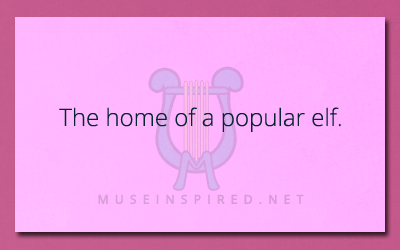 Siring Settings – The home of a popular elf. 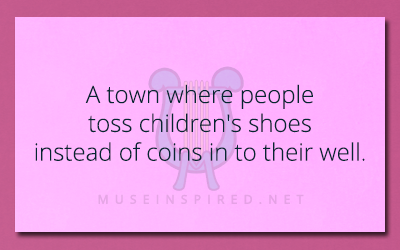 Siring Settings – A quaint little forest town. 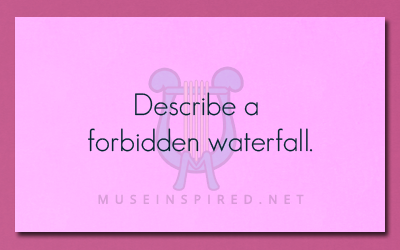 Siring Settings – Describe a forbidden waterfall. Siring Settings – Describe the bathroom of a sleazy nightclub. 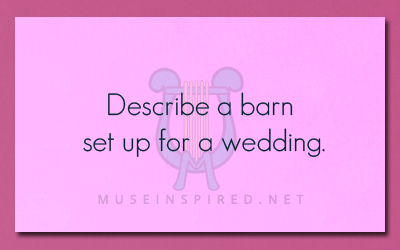 Siring Settings – Describe a barn set up for a wedding. 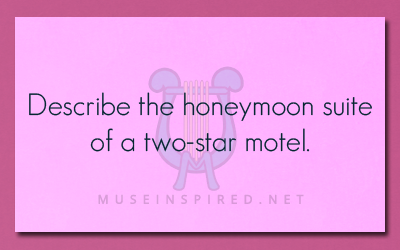 Siring Settings – Describe the honeymoon suite of a two-star motel. Siring Settings – A pastel village by the sea. Siring Settings – A kingdom without trees. 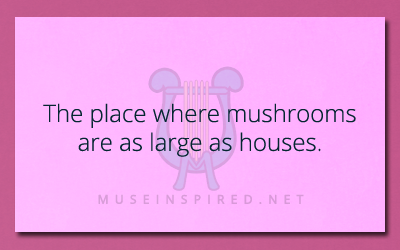 Siring Settings – The place where mushrooms are as large as houses. 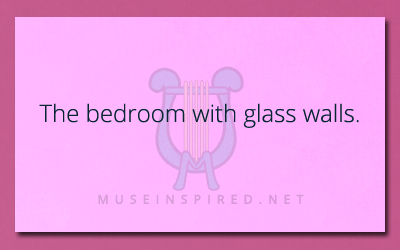 Siring Settings – The bedroom with glass walls. Siring Settings – A room where the walls are furry. 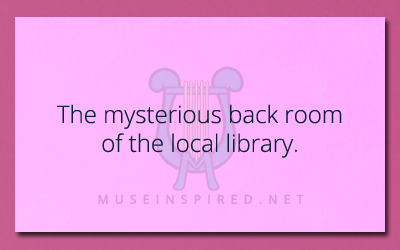 Siring Settings – The mysterious back room of the local library. Siring Settings – A kitchen filled with spring produce. Siring Settings – Describe a river camp where gold has just been found. 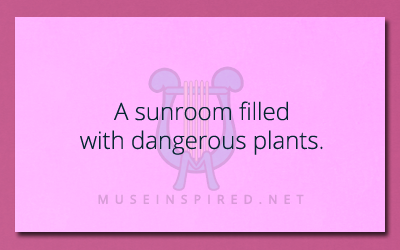 Siring Settings – Describe a sun room filled with dangerous plants. 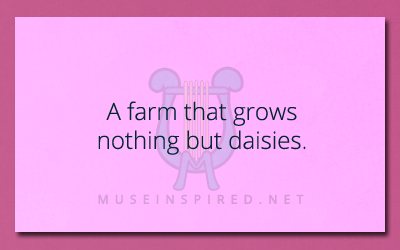 Siring Settings – A farm that grows nothing but daisies. 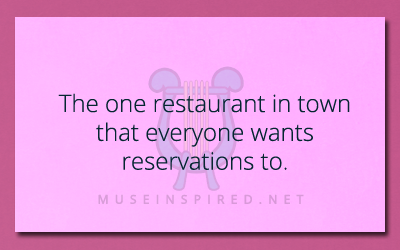 Siring Settings – The one restaurant in town that everyone wants reservations to. 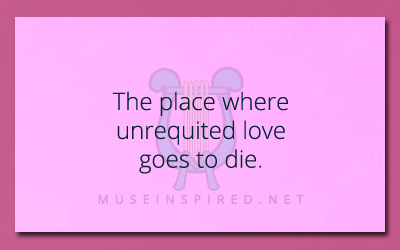 Siring Settings – A place where unrequited love goes to die. 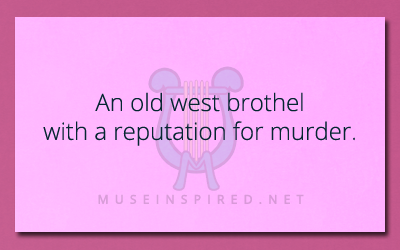 Siring Settings – An old west brothel with a reputation for murder. 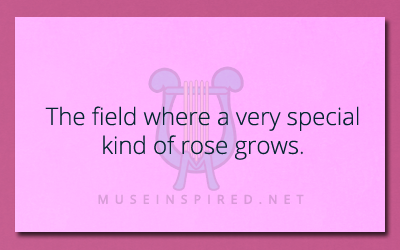 Siring Settings – The field where a very special kind of rose grows. 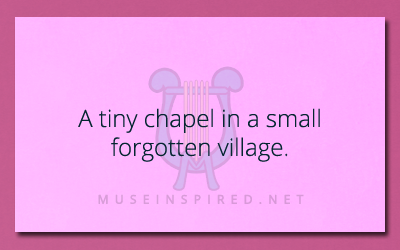 Siring Settings – The small chapel in a tiny forgotten village. Siring Settings – Describe the contents of the walk in freezer at the weirdest restaurant in town. 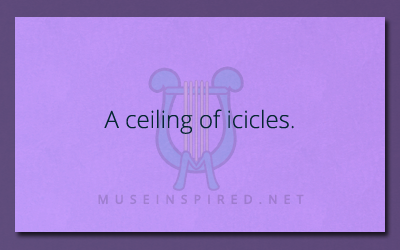 Siring Settings – A ceiling of icicles. 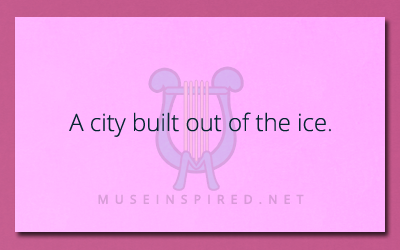 Siring Settings – Describe a city built out of ice. Siring Settings – The room with the creepy fireplace. Siring Settings – Describe a ski resort with an unusual mascot. 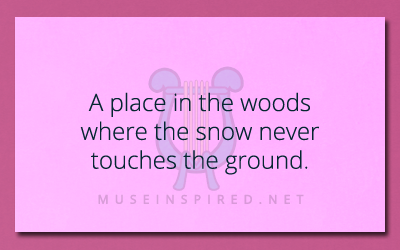 Siring Settings – A place in the woods where the snow never touches the ground. 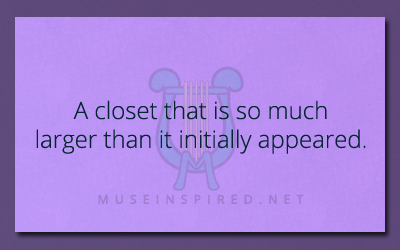 Describe the Setting – A closet that is so much larger than it initially appeared. Describe a closet that is so much larger than it initially appeared. Describe the Setting – The worst pizza place in town. Describe the worst pizza place in town. 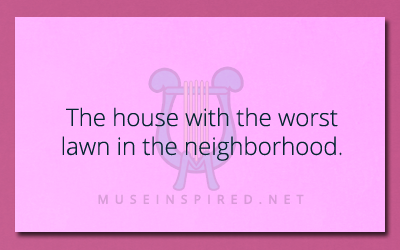 Why is the worst? 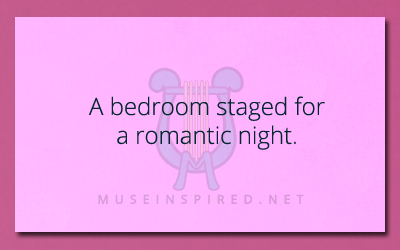 Describe the Setting – A weird relative’s bedroom. 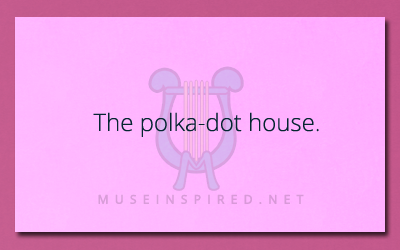 Describe the setting of a weird relative's bedroom. Why is it so weird? Or is it the relative themself that is weird? Describe the setting of a very unusual pet store. Describe the garage of a super hero! Describe the Setting – The bar on a space station. Describe a bar on a space station. Describe the Setting – A school on the moon. Describe the setting of a school on the moon. Describe the Setting – A room of glass and crystal. Describe a room of glass and crystal. 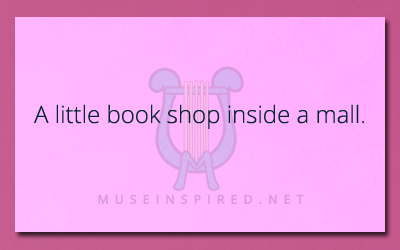 Describe the Setting – A little book shop inside a mall. 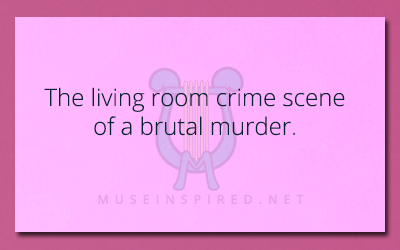 Describe the setting of a little book shop inside of a mall. 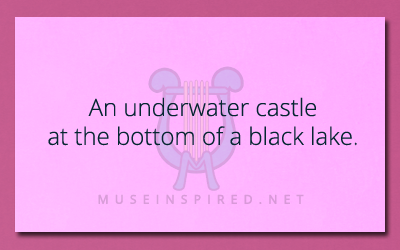 Describe the Setting – A King’s secret room. Describe what your would find in a king's secret room. 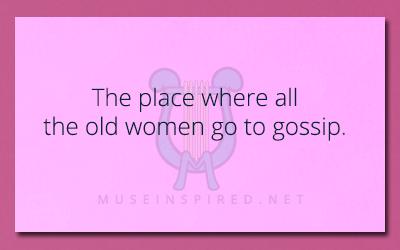 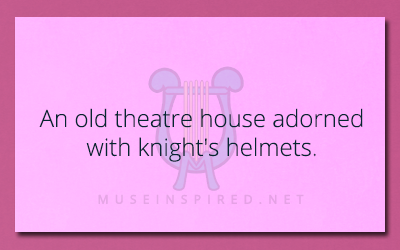 Describe the Setting – An inn of ill repute. 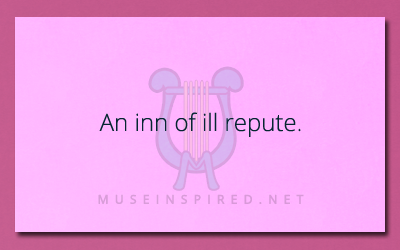 An inn of ill repute. 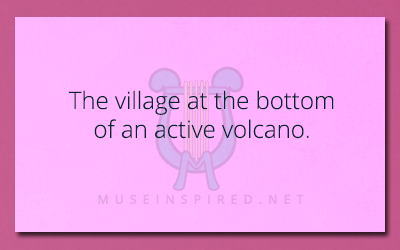 Describe this setting! Describe the Setting – A small cabin in the woods. A small cabin in the woods. 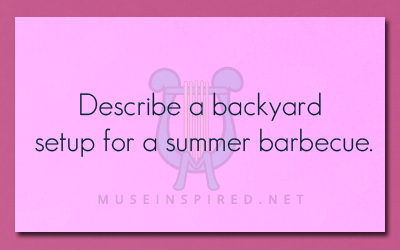 Describe the setting!